Chances are, you’ve heard from official sources that salt is a bad thing. You’ve been repeatedly told that you need to limit your sodium intake if you want to be healthy. But there’s a reason why we humans constantly crave salt — we need it to survive! The majority of the modern health problems associated with sodium are actually dependent on the type of salt we eat. Not all salts are created equal and not all salts are evil! Table salt, however, has earned every bit of bad publicity associated with it. Table salt started out life as a wholesome, nutritious food. But then manufacturers stripped and processed it of everything good. The result is a product that has no resemblance to its original, natural form. And it can actually harm your health. The truth is, every cell in your body needs salt to function as it should. You literally can’t be healthy without enough salt in your diet. Where the confusion exists is with regards to the type of sodium you put in your body. The refined, table salt varieties are so far removed from the original that they deplete your system of nutrients. They do this while elevating blood pressure and set you up for a lifetime of cardiovascular issues. Perhaps the most commonly reported health condition associated with table salt consumption is hypertension. Hypertension refers to chronically elevated blood pressure. It’s a situation that can lead the way to life-threatening conditions like heart disease and stroke. The means by which table salt and other refined salt varieties cause this are varied. But the largest contributor is on account of elevated fluid retention. The more table salt you eat, the more your body holds onto water. This, in turn, elevates your blood pressure. A 2006 study examined the relationship between sodium intake and hypertension. 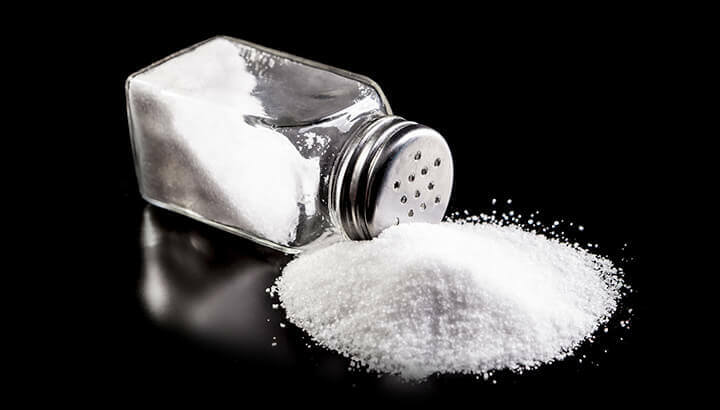 Researchers found that a 30 percent decrease in average salt intake over the past 30 years resulted in a 10 mmHg fall in the population average of both systolic and diastolic blood pressure. 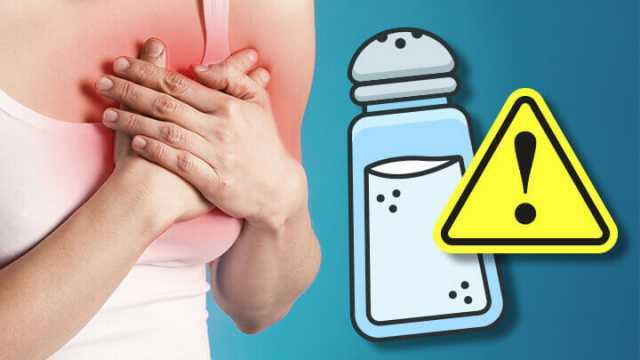 As discussed above, elevated blood pressure from consumption of refined table salt can significantly increase your risk of heart conditions, heart disease and stroke. When you suffer from high blood pressure, your heart has to work harder to push blood around your body. Your heart is a muscle. And when muscles need to work harder, they become thicker and larger. To cope with the added work, your heart thickens and grows. Over time, this can actually make it more difficult to beat as it should. This can lead to the development of heart failure. The disease is characterized by an irregular heartbeat. Depending on which side of your heart is affected, the disease can lead to a range of symptoms. These include chronic fatigue, breathlessness and coughing up of frothy phlegm. If the right side of your heart is affected by heart failure, you can experience swollen feet, ankles and legs. Either way, it’s not ideal! A stroke can occur when high blood pressure narrows the blood vessels in your brain. This can run the risk of those vessels becoming blocked and bursting. At this point, the brain fails to receive vital oxygen that would otherwise have been supplied by those blood vessels, resulting in damage to certain areas. This is classified as a stroke. It can lead to serious disability or even death. A 2013 study published in the Journal BMJ performed a meta-analysis of 14 cohort studies and five randomized controlled trials relating to cardiovascular disease, stroke and heart disease. In addition, the meta-analysis included 37 randomized controlled trials measuring blood pressure, renal function and a range of other cardiovascular markers. 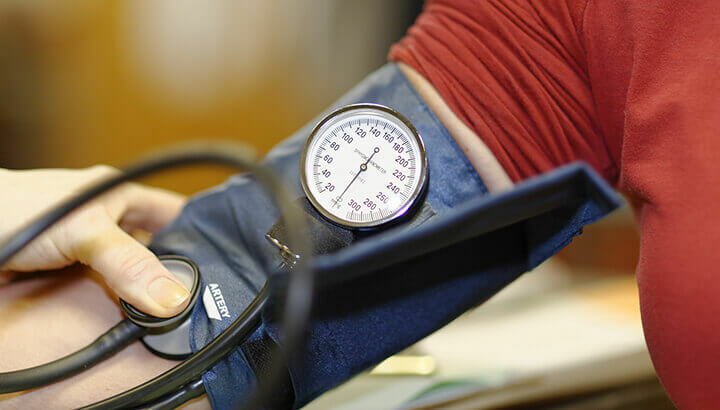 Across the board, the various studies collectively showed that a reduction in sodium intake significantly reduced both systolic blood pressure and resting diastolic blood pressure. On the other hand, increase sodium intake was associated with an increased risk of stroke, stroke mortality and coronary heart disease. There’s a reason why your table salt is so pristinely white — and it’s not a natural reason! In order to produce standardized, mass-production friendly white granules, table salt manufacturers bleach their salt white. If you’ve ever bought natural, unrefined sea salt or rock salt, you would have noticed that it’s never all the same color. It can be anything from dark grey to bright pink. That bleach which makes your table salt so nice is still in your salt. That means you’re ingesting a little bit of bleach every time you sprinkle it on your food. Delicious. For those not overly interested in their own health, there’s still plenty of other reasons why you should avoid table salt like the plague. In my opinion, table salt tastes so much worse than natural, unrefined sea or rock salt. I find that I need to add a whole lot more table salt to my meals to get the same satiation factor as I would with natural sea salt. That means that with every meal, I’m elevating my blood pressure and dehydrating my cells. The next thing to consider is that table salt is completely devoid of the multitude of trace minerals that were present in it’s original form. There’s really no connection between natural salt and table salt. The latter has been so refined and processed that the result is simply sodium and chloride… nothing else! On the other hand, natural sea salt contains plenty of potassium, phosphorus, calcium, iron, iodine, manganese and zinc. Your average table salt variety contains nothing of any real value to your body. Some table salts have had iodine added back in after refining. However, this is an artificial form of iodine and difficult for your body to metabolize. For these reasons, why would you ever bother with table salt? It tastes worse, has no nutritional value, elevates blood pressure and increases your risk of heart disease and stroke. It’s really not worth the effort. 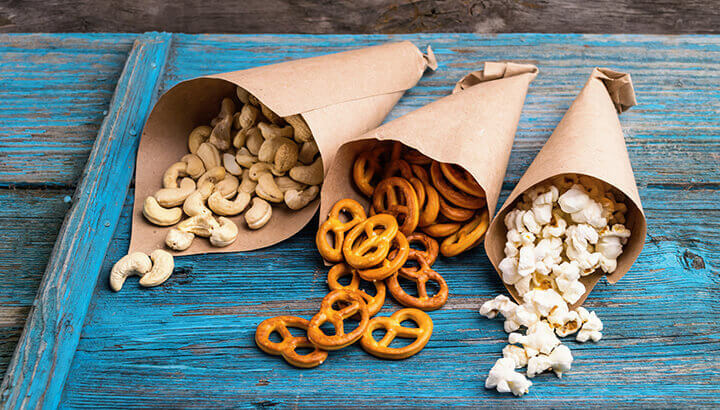 According to a 2009 study published in the International Journal of Epidemiology, “sodium intakes around the world are all in excess of physiological need.” In European and North American countries, excess sodium intake is dominated by salt added to manufactured foods, particularly cereals and baked goods. In Japan, China and other Asian countries, excess sodium was most associated with soy sauce. Ultimately, in order to avoid table salt and other refined varieties, you need to stay away from processed foods. If you take the time to look at the ingredients on food packaging, you’ll notice that sodium pops up in almost every single manufactured food. That’s true even if you don’t actually taste that salt. Companies add this sodium to make their foods taste better, increase its shelf life and keep people coming back for more. Beyond cutting out processed foods as much as possible, there’s one other key step you can take towards improving your health. Seek out high-quality, natural, unrefined salts. Here’s how. Salt makes up a major part of blood plasma, lymphatic fluid and extracellular fluid. It helps to transport nutrients through your cell walls. It supports healthy adrenal function. The right kind of salt maintains and regulates blood pressure. So how do you know whether you’re buying a high-quality salt that will fulfill all these vital functions or just another bag of white granulated disease? Luckily, there’s a number of varieties that are guaranteed to provide all the health benefits, without the degrading refinement. Personally, this is my favorite salt. It has certainly earned something akin to a cult following in the alternative health stratosphere. People derive Himalayan pink salt from ancient, dried-up seabeds near the the modern day Himalayan mountain range. Because the salt is already pre-dried by nature, there’s very little processing required. Essentially, people just dig it up and sift out any solids which aren’t edible. This means that the resultant pink salt is one of the most nutritious and delicious forms of salt available on the market. While pink salt is my go-to variety, I like to mix things up occasionally and sprinkle a smattering of unrefined sea salt on my meals every once in awhile. Sea salts derived from different areas contain varied nutrients. It’s always a good idea to regularly change up the source of your salt in order to get a broader spectrum of minerals. Essentially, look out for anything that says “unrefined,” “unprocessed” or “natural.” This is a surefire way to get your hands on the good stuff. You’ll know it’s legit if the salt you buy isn’t all the same color, as sea salt doesn’t naturally dry out a perfect white. Celtic or real sea salt are two great varieties of salt to consider buying. What’s your favorite kind of salt? Do you think you’ll struggle to remove table salt from your life? Are you already well on your way to a refined salt-free life? Let us know! Hey Buddy!, I found this information for you: "Why You Need To Stop Using Table Salt Now (And What To Use Instead)". Here is the website link: https://www.thealternativedaily.com/reasons-to-stop-using-table-salt/. Thank you.